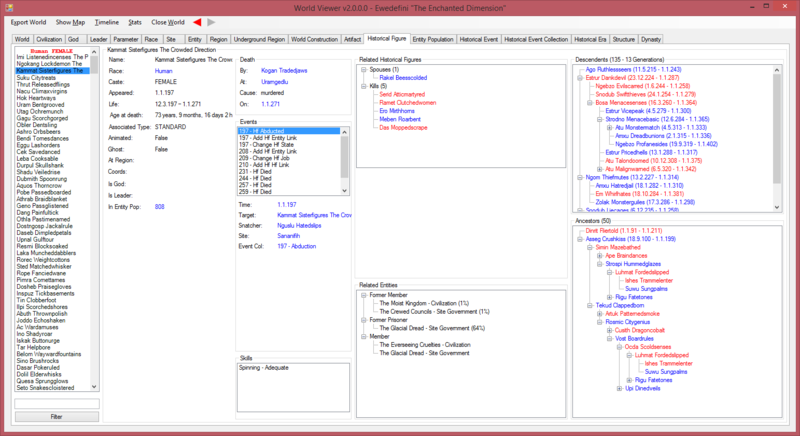 World Viewer provides an alternative way of viewing Dwarf Fortress world information (Similar to Legends Viewer by Parker147), created by parsing information supplied by the export option in legends mode. 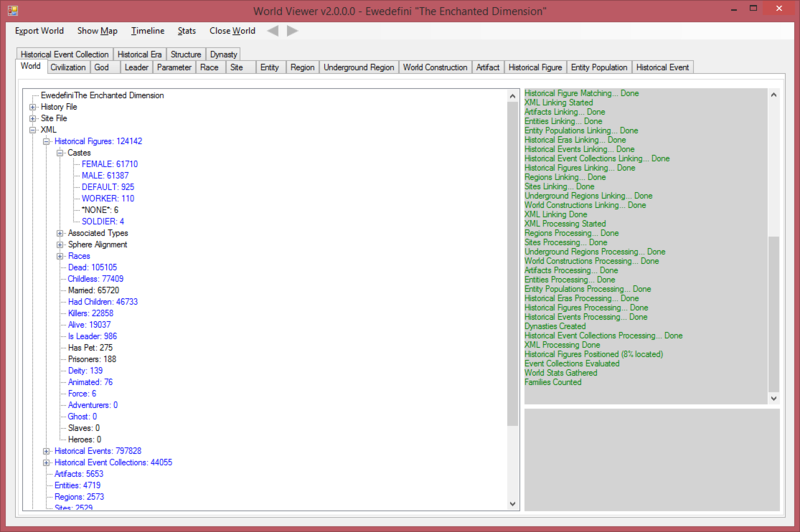 Here are some screenshots of World Viewer in action. Download (Windows): on DFFD - 64 bit version here (use the first link if you aren't sure which you need) Source is on BitBucket. Simple navigation - Efficient navigation between different objects and all their relationships to each-other, including the ability to trace backwards and forwards after navigating through connections. 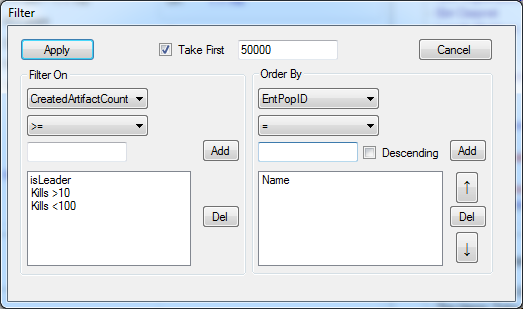 Support for huge XML Files - Fully parsed up to 4.7GB XML from legends export in 64 bit version. World Map - Shows world map overlaid with interesting information including sites, and civilizations. 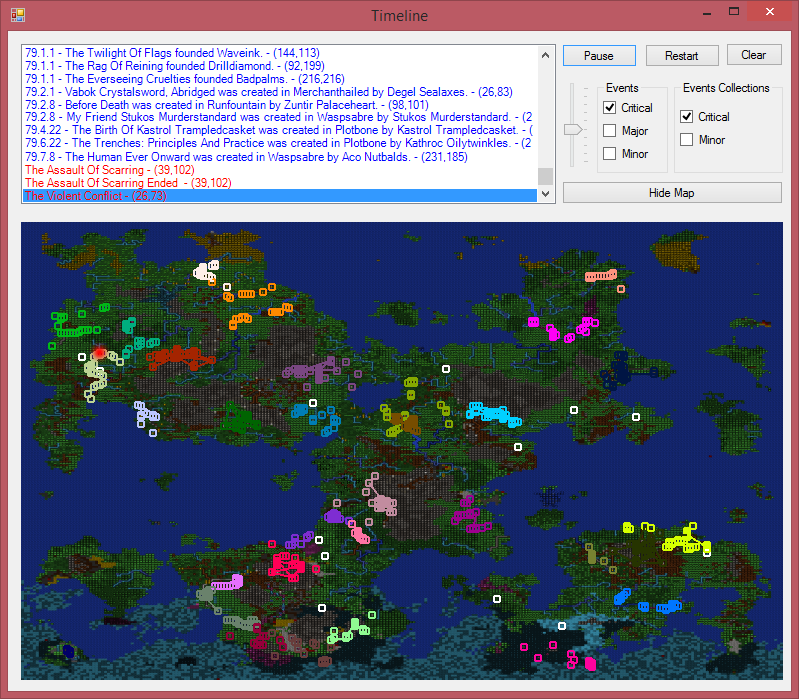 Allows map selection to view with any of the detailed maps exported from legends mode. World Timeline - Civ IV-like timeline of world events, filterable by importance. Replay the development and build up of the world and the conflicts of it's participants, while the interesting bits are highlighted on a map. 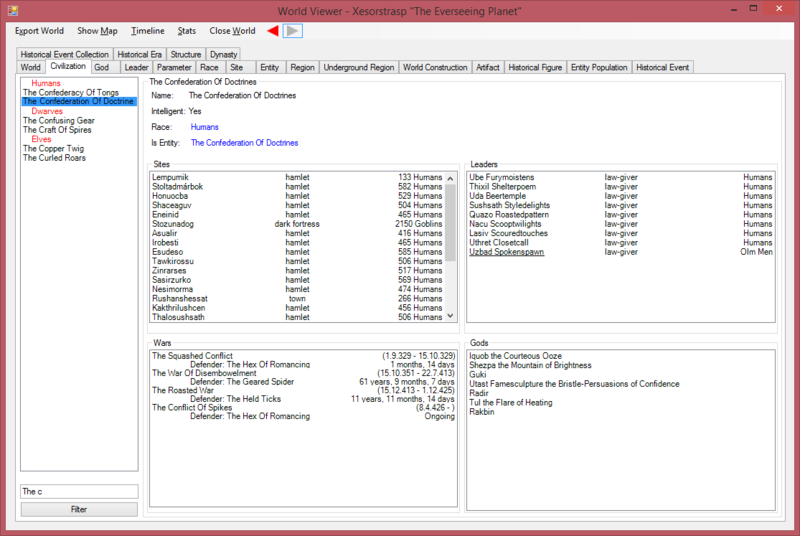 Mod support - Designed to be as mod compatible as possible, tested across at least a dozen popular mods. Dynamic filtering - Allows you to easily configure what you view, so if you want to see all the still living civilization leaders which have killed >15 things but less than 100 and listed as male, you can do that! Figures this would come out right as 34.11 is on the chopping block. Hoping you update it for the new version when it comes around though. So it's like a Legends Viewer but better? Yeah.... I just kept adding features trying to wait Toady out but I didn't have anything else I could think of . The textbox filters like legends mode does, or at least as close as I could get. It shouldn't be that hard to update since it's just taking legends exports. It depends on how much has changed. The last update gave a ton of new data but little of the old stuff was changed and that will probably be the case with this one too (hopefully). Like orca said though his 4.7 GB XML file made me improve some things and optimize the whole process. It also fails a lot more gracefully when you try to kill it with a file that big on a 32 bit os. 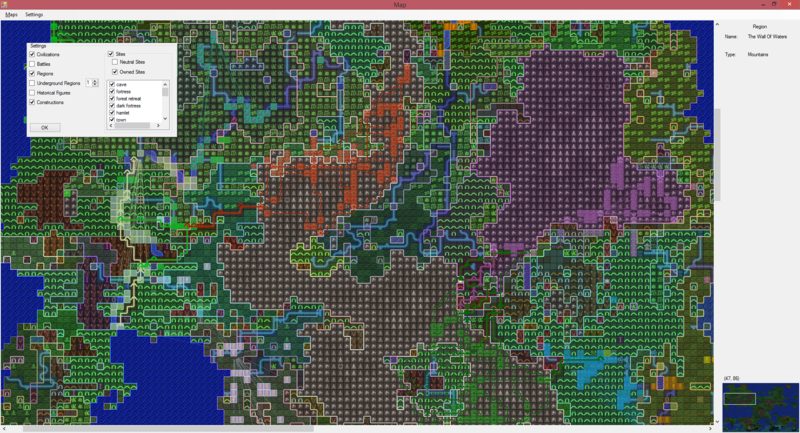 Finally that file showed me a few rare world gen situations I hadn't seen before. So all that and a few more details will be incorporated into the new version as well as any new world details. I'm most excited to be able to retire multiple forts and have things happen in the world around them. I'd suggest you run this bad boy on the latest save file for "The Museum". I think there's 80+ years of Player-made history in there, not to mention some pretty interesting embarks. Good call, was able to run this and it actually identified a bug (something called "autochop" stores stuff in a historical figure ID -100?) which I addressed, and three historical events I had not ever actually seen, and only knew existed because today had posted the full list of events, two of which provide a lot of good data "site died" and "hf reached summit". Thanks for the suggestion! I'm going to address these and maybe use this as a test bed for some story generation ideas I've had. This is a know bug - dfhack stores lot of data in fake historical figures in binary format, which then corrupts xml exports. I think it's meant to be fixed in r5, but I haven't tested that yet and it's good to hear it can be addressed on your end too (since exporting from a game without dfhack would keep the corruption). want to run some 10k's on smaller worlds as well? Yeah, I just assume that all negative IDs in the XML are ignored now (you get a note about it when it happens). I don't see any reason for Toady to start using them. If something changes (like a dfhack add-on creates data in those that might be useful to me) I can check it out then. As far as I know it doesn't really corrupt the export outside of adding a weird additional item with a negative id. Unless there are some examples of dfhack that does break it I've never seen. Feel free to forward me any good examples you have of that. Yeah, I did this a lot while testing, since they were great ways of testing huge family trees. New replaced structure event, with details (civ, siteciv, site, "old ab id" and "new ab id") - looks like old ab id is always 0 and new ab id is always 2 and is always followed with a created structure event with structure id of 3. Entity (Former) Position Links for historical figures don't always include start_year now. It looks like there are two sets of events that occur right at the beginning of each world, which are related to the new Created Site, and Created Structure events. Created Structure - (time), DEMON thrust a spire of slade up from the underworld naming it STRUCTURE, and established a gateway between worlds in SITE. Change HF State - (time), DEMON settled in SITE. Add HF Site Link - (time), DEMON ruled from STRUCTURE of CIV in SITE. 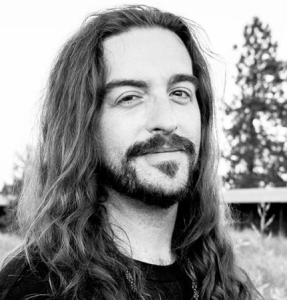 Created Site - (time), DEMON created NEWSITE. Artifact Created - (time), ARTIFACT was created by DEMON. Agreement Formed - (time), GOD aided the DEMONRACE DEMON in becoming a permanent part of the living world that great fortresses might be raised and tested in siege. The ritual took place in NEWSITE using ARTIFACT. It looks like if the first set exists, the other does as well for the same Demon, but there may be multiple ones of these, and all of the multiples of the first set come before the second set. Now just need to get my hands on some saves which have a decent amount of play time on a fortress to verify nothings changed there, and I should be able to update this today. World Viewer has been updated! There is likely still some work to do, my testing for player-ran forts has been limited. So if you run into any issues with mature forts please let me know and upload your save and I'll take a look. There are a significant amount of changes since the last release, including of course support for the changes in world generation in the new version. I'll post a summary of the other changes soon.